The date for our Upgrade Australia event has shifted ever so slightly. It's now on Tuesday September the 18th (previously August 30th). We do hope you can still attend! If you have already registered we're emailing you soon just in case you missed this announcement. But if you're reading this, you won't need to bother with the email, will you. We do apologise for this change of plan, but hope to see you there on the night! If you haven't yet registered to come along then consider yourself invited, we'd love to see you there and you're welcome to bring a friend (or friends!). As always you'll see the latest PC and PC gaming gear, hear from the people behind the gear, maybe win something rather nice, and just have a good time - that's what it's all about! 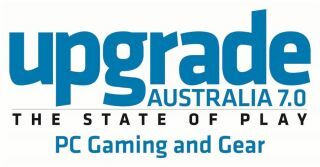 If you're not sure what we're talking about, GO HERE to see a gallery of pictures from our last Upgrade Australia event, and the fun we'll be having at the next one.